The number of babies contracting HIV during childbirth in Zambia has dropped dramatically over the past half-decade! For example, between 2011 and 2012 the number of infants contracting HIV during birth declined a whopping 51%, and dropped again between 2015 & 2016 from 13,000 to 8,900! (Avert 2016). At least some of these significant inroads have been made due to the effort of our WOW champion partners Helmut and Esther Reutter. These amazing partners were commissioned to Zambia in 1982; Hemult was sent to teach in a bible school, and Esther was a nurse. Little did they know that this mission would turn into the thriving ministry it is today; a ministry which includes several elementary schools, high schools, vocational schools, a university, a bible college, an orphanage, churches, fixed medical clinics, ART clinics, mobile medical clinics, clinics in prisons, and a broadcasting ministry. WOW began working with Helmut in 2002, when he met then chief operating officer Richard Brown during WOW’s first AIDS conference in Zambia. The two quickly began working together along with other local Christian leaders who attended the conference to catalyze the ECR Trust (Expanded Church Response to HIV). In fact, WOW funded the first person with HIV to participate in this initiative. It was because the functioning initiative of the ECR Trust which caught the attention of the CAF (Children’s Aid Fund) from the US who stepped up to fund two ART (Anti-Retroviral Treatment) centres in Zambia. 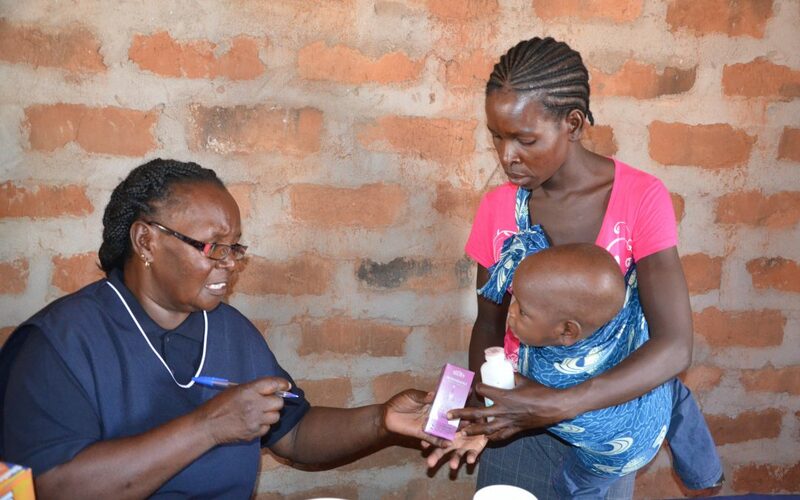 At these ART clinics, mothers were provided with education, testing, and access to ARV’s through initiatives known as Prevention—Of–Mother –To –Child (POMTC) programs. Avert points out that “in 2015, 87% of pregnant women (world-wide) living with HIV were receiving effective antiretroviral treatment, just under universal health targets of 90%” (2016), from clinics like to ones run by these amazing partners, thus explaining the drop in infant infection rates. Avert asserts that “without treatment, the likelihood of HIV passing from mother-to-child is 15% to 45%. However, ART and other effective PMTCT interventions can reduce this risk to below 5%”. In 2008, WOW became more deeply involved with the Reutter’s clinic ministry by sponsoring its first Mobile Medical Clinic, as well as providing funds for training community healthcare workers and traditional birth attendants. Over a three year period between (2008-2011), this initiative, known as The Siavong/Kabwe HIV/AIDS Community Mitigation Project, successfully reached over 80,000 people with PHC (Primary Health Care) services. Moreover, this project educated over 84,000 people on HIV and AIDS. Further, as a result of this project, over 11,000 people in Zambia learned their HIV status. In the areas targeted, 15% of those accessing VCT were testing HIV positive, and therefore 1,650 individuals began receiving ART for HIV. Thanks to the Reutters’ initiatives in both fixed and mobile medical clinics, in collaboration with WOW partners like you, over the last fifteen years, pregnant mothers in Zambia have been able to access the education and testing they needed to determine if they required ARV intervention pre-pregnancy and post-pregnancy, which dramatically dropped the infant transmission rates we see today. Helmut and Esther have been in Zambia for more than 30 years. They have two grown children and four grandchildren. In 2017 WOW supporters like you helped build two community centres, run two skill development programs, and finance three mobile medical clinics which saw close to 2,000 patients a month in Kabwe, Ellensdale, and Siavonga (the Siavonga clinic goes out to more than 18 communities)! That is more that 24,000 patients seen this year thanks to your help! Please continue to pray for the Reutters and their powerful ministry. An Upcoming Drought in Malawi: Will you pray with us?